One of the largest camera trap surveys ever undertaken in the world is starting in the Karoo, focusing on predators, farming and biodiversity. 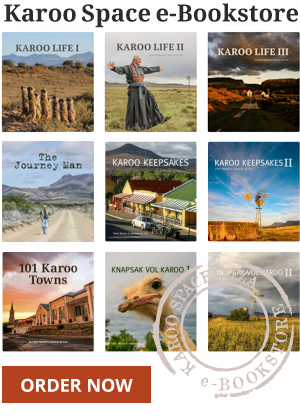 The little river town in the Karoo celebrates its 200th birthday. Sometimes, when living in a small town like Cradock, one is witness to simple yet great acts of kindness that are less noticeable in big cities. Karoo at its down-home best: Merweville in the Western Cape. A century ago, people in the Karoo had elegant little devices to peel peaches, grind coffee and sieve their flour. And weren’t those peach pip floors something? A fine old bike shop in the Great Karoo.